No evidence exists that accumulation of gadolinium in the brain speeds cognitive decline, according to a study presented by Mayo Clinic in a scientific session on Wednesday at the RSNA. 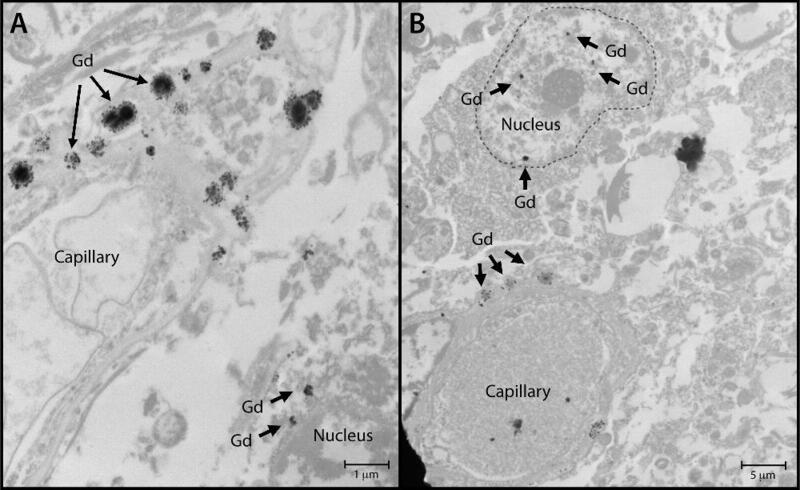 The safety of gadolinium-based contrast media is the subject of global debate after recent studies have determined that traces of gadolinium can be retained in the brain for years. 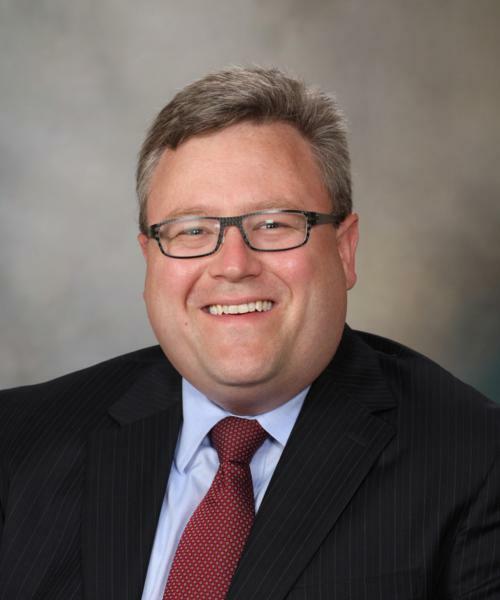 In fact, Robert J. McDonald, MD, PhD, a neuroradiologist at the Mayo Clinic in Rochester, MN, and the new study’s lead author, conducted one of the studies that determined gadolinium contrast media could cross the blood-brain barrier. 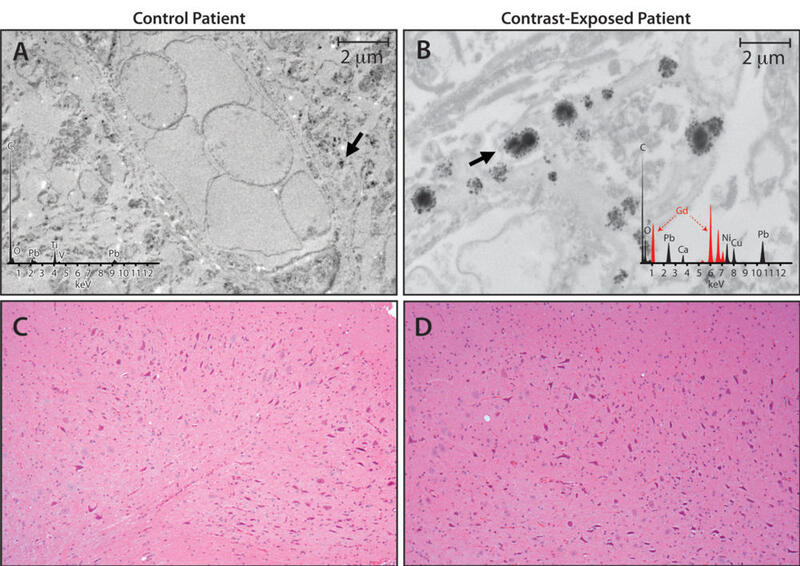 For the new study, Dr. McDonald and colleagues set out to identify the neurotoxic potential of intracranial gadolinium deposition following intravenous administration of gadolinium-based contrast agents during magnetic resonance imaging (MRI) examinations. A total of 4,261 cognitively normal individuals, members of the Mayo Clinic Study on Aging (MSCA), the world’s largest prospective population-based cohort on aging, were evaluated for the study. All MSCA participants underwent extensive neurologic evaluation and neuropsychological testing at baseline and at 15-month follow-up intervals. These individuals ranged from 50-90 years of age. 1,092 received one or more of gadolinium-based contrast agents during diagnostic imaging studies. At least one participant received as many as 28 prior doses. The median time since the first gadolinium exposure was 5.6 years. 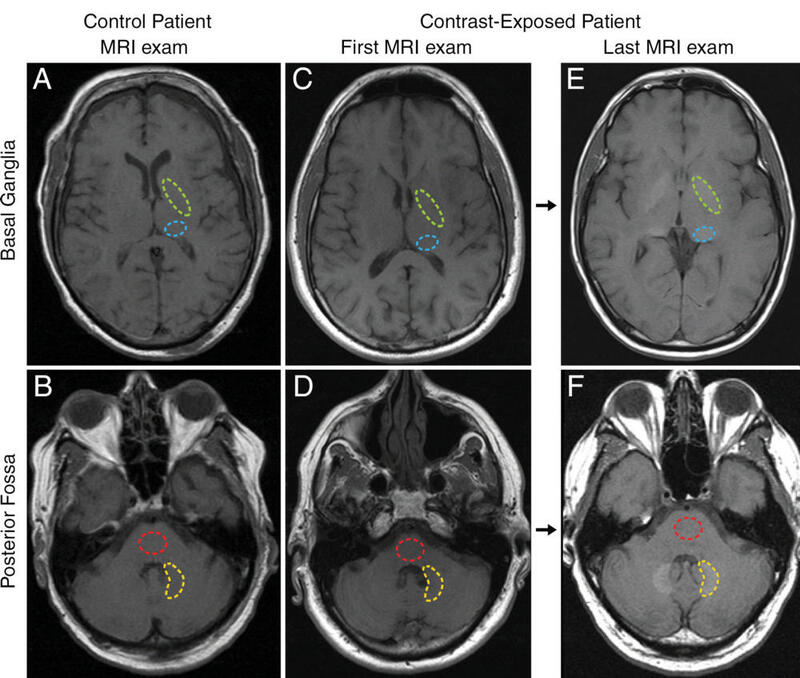 Neurologic and neurocognitive scores were compared using standard methods between MCSA patients with no history of priori gadolinium exposure and those who underwent prior MRI with gadolinium-based contrast agents. Progression from normal cognitive status to mild cognitive impairment and dementia was assessed using multi-state Markov model analysis. After adjusting for age, education level, baseline neurocognitive performance and other factors, gadolinium exposure was not a significant predictor of cognitive decline, dementia, diminished neuropsychological performance, or diminished motor performance. No dose-related effects were observed among these metrics. Gadolinium exposure was not an independent risk factor in the rate of cognitive decline from normal cognitive status to dementia in the study group. RSNA 2017: Mayo Clinic study finds no evidence that gadolinium causes neurologic harm. Appl Radiol.